Have I been living on another planet? Why have I not been even stepped foot into Lush before now and tried their amazing products? I think I know the reason. I'm not a bath person. Yes, I do wash, daily, promise, but I'm a shower kinda girl. I don't know why but I had in my head that Lush sold goodies predominantly for the bather so never bothered going in when I passed by. How I managed that I'll never know, how did the smell not draw me in? Well, I've now changed all of that. I am now a Lush lover. 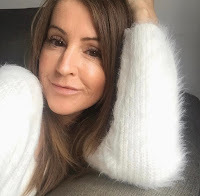 I've seen so many fellow bloggers attend Lush events and rant about the wonderful, and sometimes odd shaped body beautifiers I had to find out for myself how good they really were. I needed to get a little something for my god daughter so popped into my local store. The staff were so helpful and knowledgeable, and despite me asking a million questions, nothing was too much trouble. A big shout out goes to the assistant manager at Lush Leicester who actually didn't want to stop talking Lush to me, she was so goddamn passionate, and it was infectious!I can't remember whether her name was Penny or Holly, one's the manager and one's the assistant manager, sorry I can't remember exactly ladies, but she was great, she made me want to stay, buy lots, and most definitely come back. As I said I'm not a bather, I always think I'm just wasting precious moments of my life when I could be doing something else. Silly I know but that's how I feel. AND being a short arse I can't relax properly, my feet don't touch the end of the bath and I end up near on drowning!!! Serious, I slip under the water. My arthritis has kicked off big time again (after two years of remission) and I'm not sleeping well at all because of the pain so it was time to try and find something to help me relax. After taking forever to choose between French Kiss and Twilight I opted for French Kiss as I love lavender and if anything was gonna help me it was this little beauty. I chose Hoppity Poppity and the Rose bubble bar for my god daughter. How cute is Hoppity Poppity? I continued chatting with my lovely new Lush friend and told her about me being more of a shower girl than a bather, so we talked shower gels. She introduced me to Grass and then offered me The Olive Branch. As I was new to Lush she gave me a small sample of each. When I got to the counter with my little basket I had another surprise. Remember me saying I couldn't choose between French Kiss and Twilight, well she'd only bagged up a Twilight for me and said I could have it as a gift from them. Aww, I was touched and I've got to tell you that going into that store absolutely made my day. Their warmth, friendliness and passion raised my spirits no end and I went out with a skip in my step so thank you. Well, I couldn't stop sniffing French Kiss and just had to try it that night. I crumbled half into my running water and the scent of the top quality french lavender was incredible and filled the bathroom with a heartwarming aroma. The smell reminded me of my trip to the Titanic Spa last year and I felt relaxed before I'd even got into the bath. Heavenly. Needless to say, I got into bed feeling calm, all warm and toastie and actually slept better. Not amazingly well but it's early days in my pain management. I tried Twilight the following week and it was lovely but couldn't compare to French Kiss, smelt nice enough but not my favourite and I actually found it didn't produce half as many bubbles and you've got to have bubbles! Shower Gels. Woah, both super lovely. I tried Grass first and it instantly brought a smile to my face. It was a lovely sunny morning when I used it and in my head I could imagine the warmth of the sun and hear the sound of the lawn mower outside, really I did, that's what it did to me anyway, can't promise you'll have the same weird thoughts in your head. 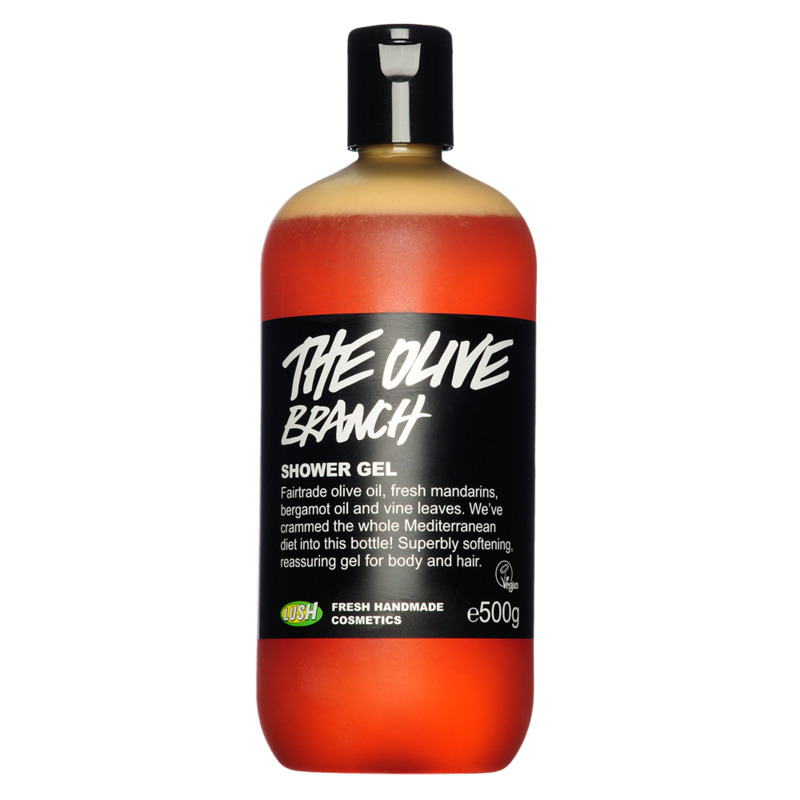 The Olive Branch was just as nice, giving you the warmth of the Mediterranean and in my opinion gives lots more bubbles on your shower scrunchie! The problem I have now? What to choose next, because there will definitely be a next time. I had to leave this post half written and take a trip into town with my newly turned 18 year old daughter, she had birthday money burning a hole in her pocket so I had to abandon everything and go. The 'next time' was about to happen and I introduced Em to Lush. I picked out some wonderful things for a friends birthday and I couldn't resist treating myself to The Comforter. I just had to. Have you smelt it? Wow, Emily wanted to lick it! I mean just the name conjures up warmth, and cosy-ness, like big arms wrapped around you giving you a comforting hug! I cannot wait to try it and apparently neither can Em because as she says, she makes appearances on this blog so she has to be involved in the research. Point taken. We had a lovely girlie shopping trip, the ladies in the store were just as helpful and downright lovely. We came home worn out, shopped out, spent out, but happy, and I managed to finish this post on the day I started it. Hoorah. I cannot wait to try other things but I don't know what, I'm thinking perhaps a shampoo bar, they sound very intriguing. Anyway, I'm off to have a sniff of my Comforter, can't help it, I'm now a Lush addict. Are you a Lush lover. What's your favourite Lush product? You must have been living in a smell denied alternative world :-) Lush goodies are amazing! 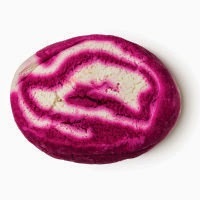 The comforter is one of my all time favourites, along with Karma and the bubble bar with the tiny flower on it, (I think its called candy) divine! You will become an addict now, enjoy!